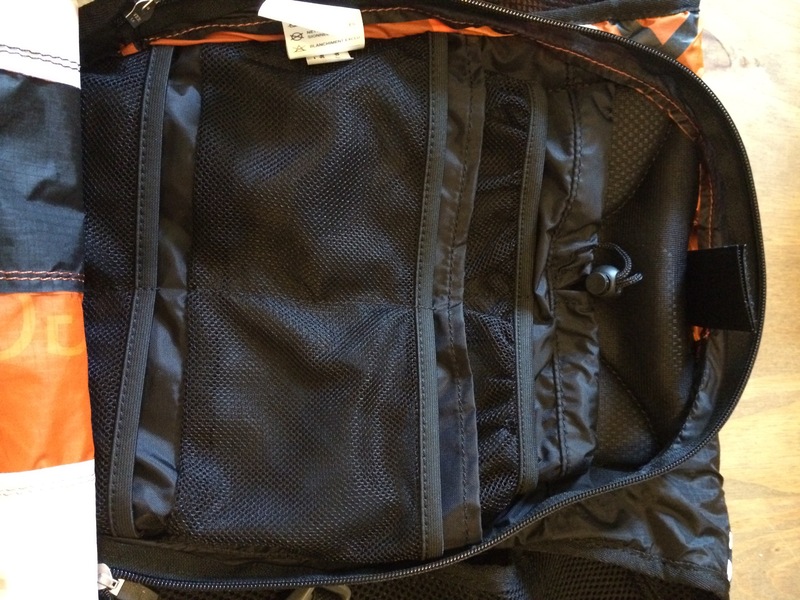 #Review – #Oxsitis Hydragon Ace 17litre, the most awesome hydration bag in the world? Recently I reviewed the Decathlon Trail Bag and described it as some of the best kit you can buy for under £30 – this remains very, very true. What I also said was that I had bought a second hydration pack and this is the review for my very different and possibly new most favourite piece of kit in the universe ever. I’ve been lusting over this pack since I first saw it in a slightly different form as the Hoka Evo R. I went to the London Marathon Expo and tried one of these things on and decided it was one of the most comfortable things I’d ever worn but I didn’t buy one. Reviews for the Hoka Evo R are scarce and owners seem even more rare. However, a little searching on the interweb led me to a site for a company called Oxsitis who actually make the Evo R and this is where it really began. Finally I found some reviews for the various versions of pack that this company produce – all in French (so thank you Google translate). The reviews on the whole were incredibly favourable and the size combined with the style of fitting seemed the right combination for someone of my frame and running style (slow and steady). The problem was that there are no UK suppliers and so I forked out the €160 to bring this awesomeness to UK shores. And this is my review having now done 8 runs in it totalling about 75 miles. Close fitting, breathable but possible a little warm on the back in places. I’ve found while running in the pack that you can sweat a little but certainly no more than I do when I run in my Ultimate Directions PB. The shoulder straps are incredibly comfortable and the positioning of the pockets on the straps are even more accessible than on the Ultimate Directions PB. The main storage area runs pretty flat when its empty and when filled feels light on you back. Mercifully it sits as high on your back as the Salomon and Ultimate Directions of this world rather than the OMM packs. The higher back sitting point means you shouldn’t suffer from back fatigue mid race. The front of the pack has three main pockets and a fourth slightly curious effort which I’ll explain later. The first pocket is an insulated section designed specifically for your smartphone, tracker or battery pack, I’m an iPhone 5S user and had no problem with the fit or access (which has been an issue on the UD PB vest). The zip feels nice and secure and this pocket will protect somewhat against external damp and body moisture therefore protecting your probably rather expensive mobile phone. The pockets located at the base of the packs front are both spacious and could certainly handle carrying my OMM water bottle but they could also carry lots of food/gels. I had at least five snack size chocolate bars and a few other bits in there and never felt it was going to be difficult to store them or retrieve. The pocket is part mesh, part ripstop fabric and this keeps it well ventilated. These pockets will also double up as bottle holders as well and despite having a bladder with pack I’ve been very happy to have one bottle on the pack in addition to my bladder. Now to the fourth pocket which you can see pictured above. When you first put it on this is the housing unit for the sports gel mixing unit (more on that later too). The magnetic closing (a feature on many of the pockets) makes its much more secure than you’d think and its very nature means that it has a large volume but limited use. I’ve found (like other runners) that the best thing for this pocket is either the water mixing device or an item of clothing – in the photograph I’m carrying my OMM windproof in there but it would happily store a T-shirt or other smaller item of clothing such as my Montane Featherlite trousers. All of these vests and packs contain oodles of technology that are supposed to aid the ultra runner, this is no exception – there are quick release velcro fastenings on the arms of the pack to make adjustment and removal easier than ever before. For those worried that the velcro wouldn’t be strong enough or durable I am assured it is and my own experiences with the pack suggest this is a good quality build. The magnet fastenings help keep you kit nice and secure on the pack, it makes a huge difference from the various zip fastenings and drawstrings of other manufacturers and I’ve found accessing my stores much easier. There are quick access pole holders, for those like me, that own the Black Diamond Ultra (or similar Z fold poles) on the front of the pack and this makes poles for the first time useful to me. I’ve already mentioned the bladder mixer which can have isotonic gel drinks attached to mix with your water supply without contaminating it – if Oxsitis could get this made a little smaller it would be a great innovation and very, very useful. As it is the mixer is a little bulky and therefore a little cumbersome but if you have space to spare then why not try it out and see how you feel about it. The fabric is Ripstop and the claim is waterproof but also quick drying. In the rain I’ve simply added a very thin waterproof layer to ensure things like my medical kit don’t get damp but haven’t yet had any damp issues but then its summer and it hasn’t been that wet! Waterproofing is the thing we probably sacrifice first, my other packs be they OMM, Ultimate Direction, Camelbak or even Decathlon are not waterpoof – they aren’t intended to be a running Aquapac! The ripstop material is a nice alternative and I have yet to encounter any problems with this. Built in whistle. Weighing in at just 290g (without bladder or bottles). It’s expensive – let’s not beat around the bush, it’s €160 worth of expense which makes it a little pricier than the UD and the Salomon and much heftier than even the most kitted out OMM bag. However, you do the get the bladder, mixer and rescue blanket included on the downside it is only available from mainland Europe so there is no trying it on. It’s bright, it’s a little garish, it’s filled with awesome typography, it’s very patchwork in the layout but its all clearly labelled and it’s huge fun. This is the right kind of pack for your ultra running adventures – you certainly won’t be missed. Oxsitis across the range have a variety of awesome products and colour ways – there’s guaranteed to be something for everyone. Hydragon ® Ace ™ 17L is a full hydration pack that will allow you to carry water and essential accessories for your TRAIL and hydrate effectively. This bag has been designed to optimize hydration and comfort. Its large storage capacity, its lightness and its innovative structure will allow you to calmly deal with all your adventures. The system of lateral adjustment optimizes stability and comfort. Equipped with ventilation system AIRBACK™ Control, specially designed to maximize the maintenance of backpack with maximum breathability and best comfort. The hydration Hydragon ® Ace ™ 17L bag comes with a water bag 2L “antimicrobial & taste free” technology with a double connector for easy filling and cleaning. Also comes with innovation in hydration: the latest generation OXSITIS mixer, allowing you to achieve hydration in all situations. New Vacuum Tube easy to drink. Equipped with the mandatory safety equipment (blanket, integrated whistle). This is my pack for the W100 where I am going to need a full set of kit, multiple changes of clothes and extreme levels of comfort. I wouldn’t use this on a 50km I think it would be a bit overkill but from 50 miles upwards this would be a killer pack that offers a high level of functionality, quality and distinctiveness. This won’t replace my Ultimate Directions pack, nor my Decathlon packs but it has very much earned a prominent place in my race day thinking. On other matters to do with purchasing from Oxsitis the delivery was amazingly quick, the processing of my order equally so and I can only thank the company for dealing with order. I’d recommend this pack over the Hoka Evo R any day of the week and moreover I’d recommend this pack. I’m now looking forward to putting it through a real challenge across the Winter 100 in search of my first 100 mile buckle.